Absolutely gorgeous weather we are having these days! The birds are gathering in large flocks in the sky, getting ready to migrate, and pumpkins are ripe in the fields, waiting to be collected. The sun is still warm and the light is golden. It reminds me of this quote from Walt Whitman: “Give me the splendid silent sun with all his beams full-dazzling, give me juicy autumnal fruit ripe and red from the orchard.” It is the time of ripeness and fullness. My mom recently gave us a bag of Empire apples from an orchard near where she lives. 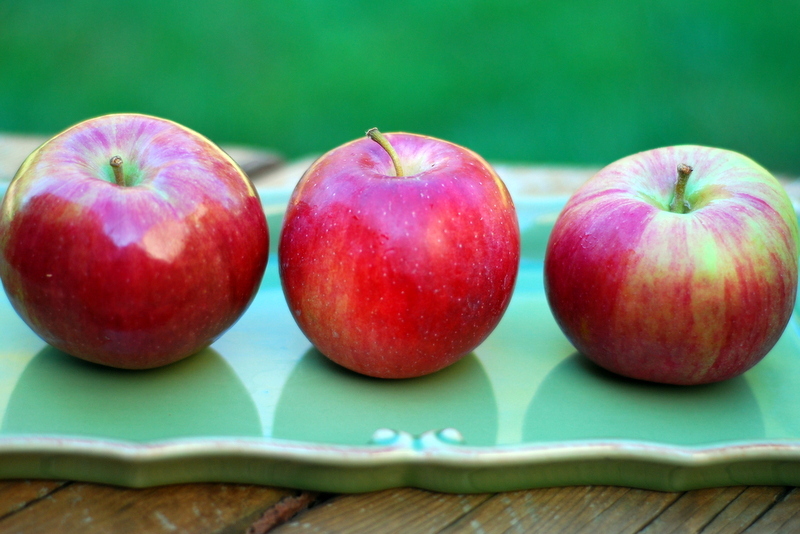 It is such a good feeling to have lots of apples piling up in the kitchen, just waiting to be eaten or baked into a tasty concoction. 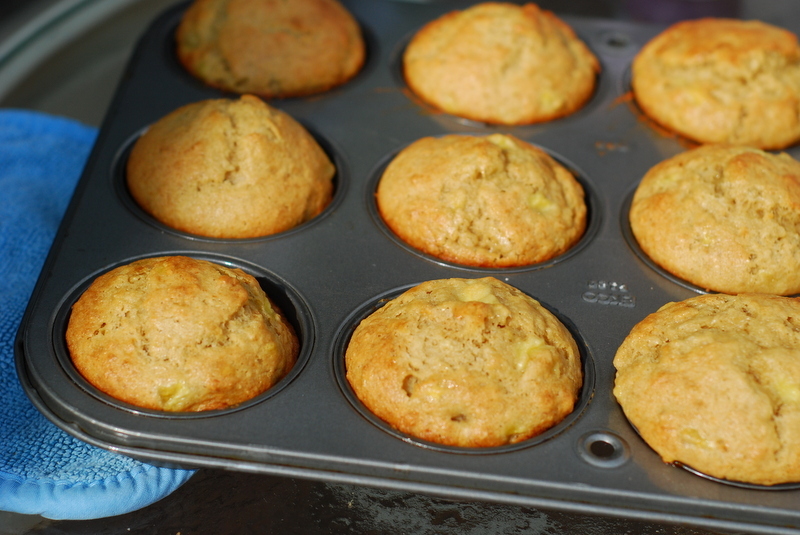 I promised more apple recipes for apple season, and below I have posted a recipe for apple cinnamon muffins. I made a dozen yesterday morning and they are already gone. They are so moist and delicious, and they work great as part of a breakfast or for a snack. I know my kids love them, so it is a good way for me to be sure they eat something filling for breakfast before rushing out the door. I originally got the recipe from “The Family Circle Cookbook: New Tastes for New Times” many years ago, and have made only minor changes to it because it has worked so well for me. 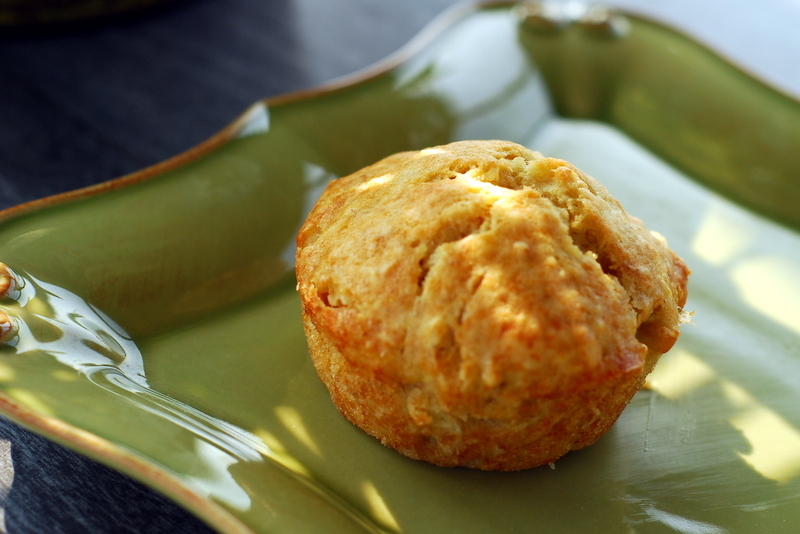 I hope you enjoy these muffins, and hope we all can savor the beautiful autumn while it is here. Preheat your oven to 400 degrees. 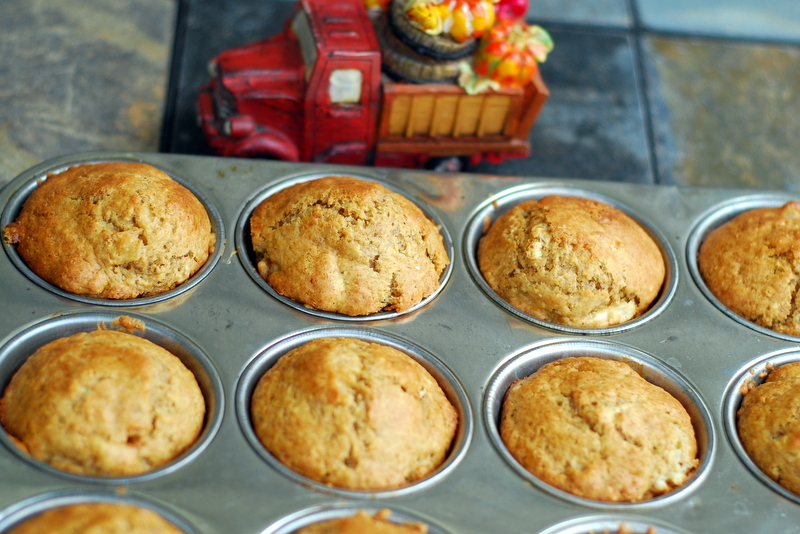 Lightly grease a standard sized 12-muffin tin or line it with paper muffin-pan cups. In a large mixing bowl, combine flour, baking powder, baking soda, salt, sugar, cinnamon, and apple. Make a well in the center. In a medium-sized mixing bowl, combine the buttermilk, egg, and melted butter. Add the wet mixture all at once to the well in the dry ingredients. Stir just until the dry ingredients are moistened and everything is combined. Do not overmix–it is okay if the batter is lumpy. Spoon the batter into muffin cups, dividing it evenly. Bake in a preheated oven at 400 degrees for 20 to 25 minutes, or until the muffins are lightly golden and a toothpick inserted into the center comes out clean. Cool the muffins in pan for 5 minutes. Run a knife or spatula around the edges of the muffins. Remove them from the tin and serve warm. Enjoy! This summer has not been as hot as usual so far here in Michigan. But we have had some hot, steamy days. 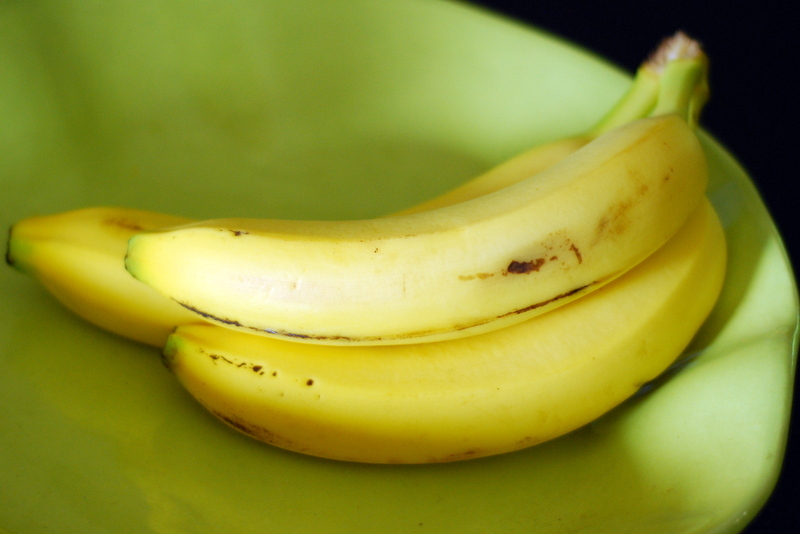 It seems like when the temperature heats up, bananas get ripe more quickly, and before I know it, I have some yellow/brown bananas sitting in my fruit bowl. 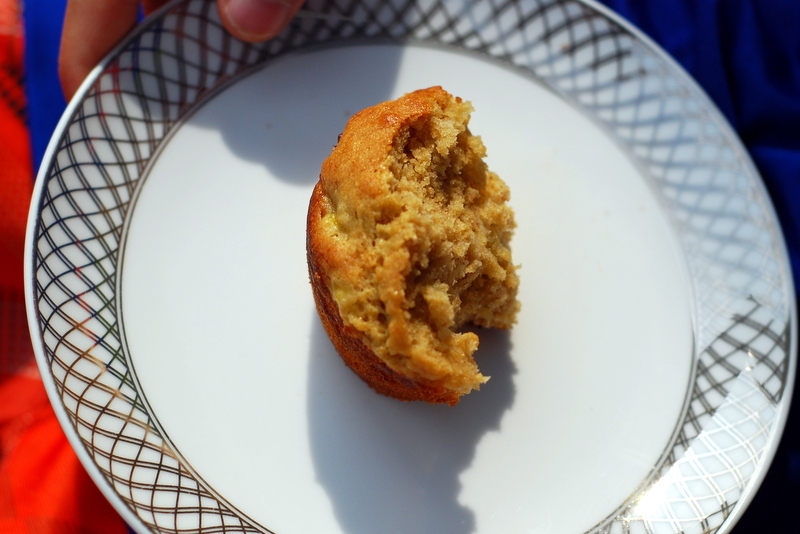 I don’t like to see food go to waste, so lately I have been making banana muffins to use our bananas before they get too ripe to eat. 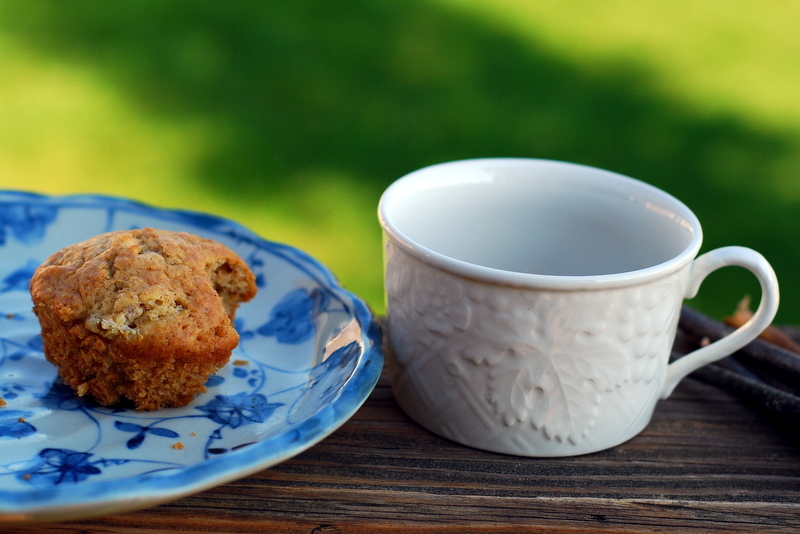 I made some this morning, and my kids and I ate them for breakfast out on our back porch. The recipe I have posted below calls for whole wheat pastry flour. You can use white flour if you prefer, but I like the texture of the whole wheat pastry flour, and it contains more fiber and vitamins and minerals than white flour. I also like to use Greek yogurt because it has more protein, though you can use any kind of yogurt. 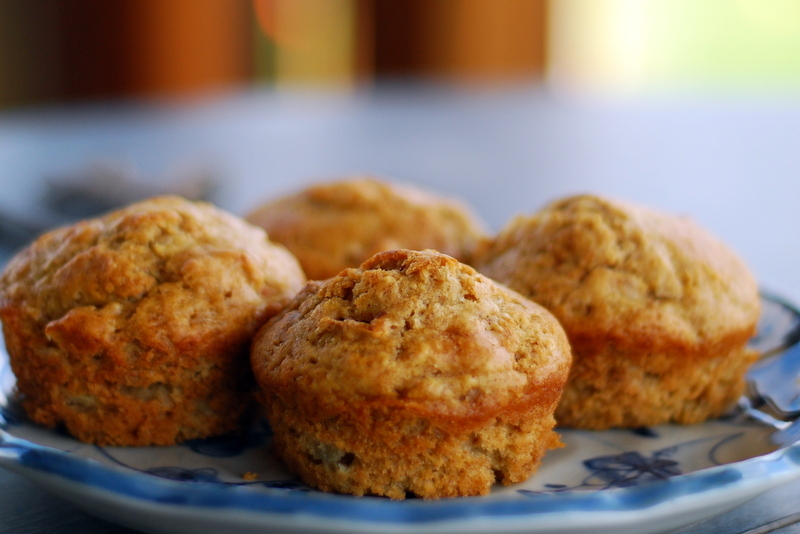 The bananas and yogurt keep these muffins nice and moist. They were a hit with both of my kids and husband, plus my three-year-old nephew. It is good to start out the day with something substantial! And even better if you have the chance to eat outside in the summertime.